Cebu CNT Lechon has been cooking Lechon for almost two decades already. CNT owner Norman Quejada with his expertise in roasting pig is the man behind Cebu's best tasting Lechon, the right crispness and its arising mouth watering aroma that no other Lechon brands in Cebu can do. CNT is one of the restaurants in the country who participated in Unilever Food Solution Sooo Pinoy Campaign. CNT continues to delight Cebuanos and tourist alike with their best tasting Lechon offering, a perfect example of revolutionizing our Filipino dishes. CNT sourced its pigs in Bantayan Island and nearby Negros towns. CNT does not use tanglad or lemon grass in their Lechon, the main ingredients that are studd into the pig before roating are salt, MSG, Garlic, Spring onions and to make the Lechon skin reach its reddish color. 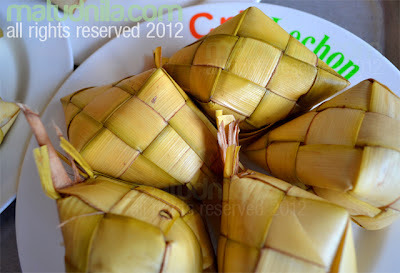 The best partner to your CNT lechon is "puso" or hanging rice, a traditional way of cooking rice in a young coconut leaves handicraft which form a heart shape octagonal prism. The young coconut leaves that is cooked together with the rice gives the distinct taste of the rice that makes good partner with your Inasal. Lechon Inasal is best consumed not using utensils, nor your puso needs it too. Lechon making by products are also available at CNT Lechon, Dinuguan, Chicharon Bulaklak (laman-loob ng baboy) and other filipino dishes are also offered. 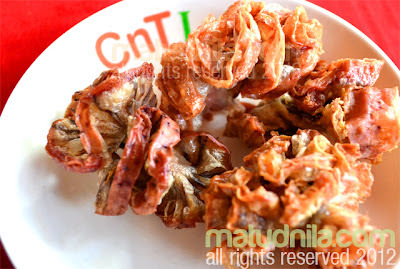 CNT Branches are in Guadalupe, CNT in front SM City Cebu, CNT Lechon at SM Foodcourt Cebu. CNT Lechon in US? Yes, CNT Lechon branch is also available in Las Vegas Nevada. Cebu CNT Lechon DELIVERY? Contact CNT Phone No 032 – 2544249. for inquiries. To know more about the Sooo Pinoy campaign, liked the Sooo Pinoy page on Facebook or follow @SoooPinoy on Twitter. 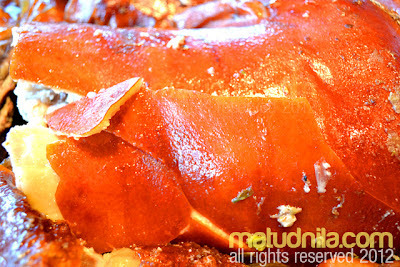 0 comments: on "Sooo Pinoy Food Trip Cebu: CNT Lechon Cebu's Best Lechon with Puso"